Monday night was a "Light-Up Cincinnati" evening, when the entire downtown area is supposed to be illuminated. We packed up Kaelyn, made a UDF pitstop and circled the city to snap some photos. Unfortunately, I had my camera on the wrong setting for nighttime photos, but I did get a few decent ones [touched up, obviously]. 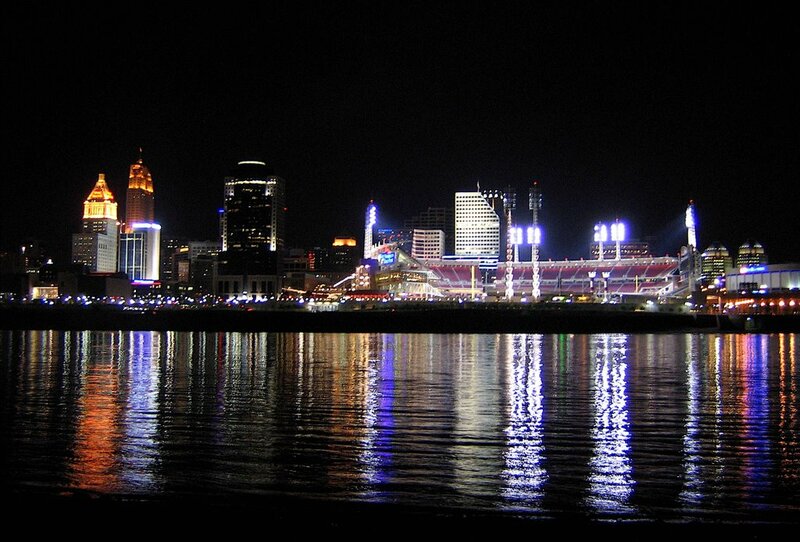 Only at night can the Ohio River look this good. The statues in front of Great American Ballpark. 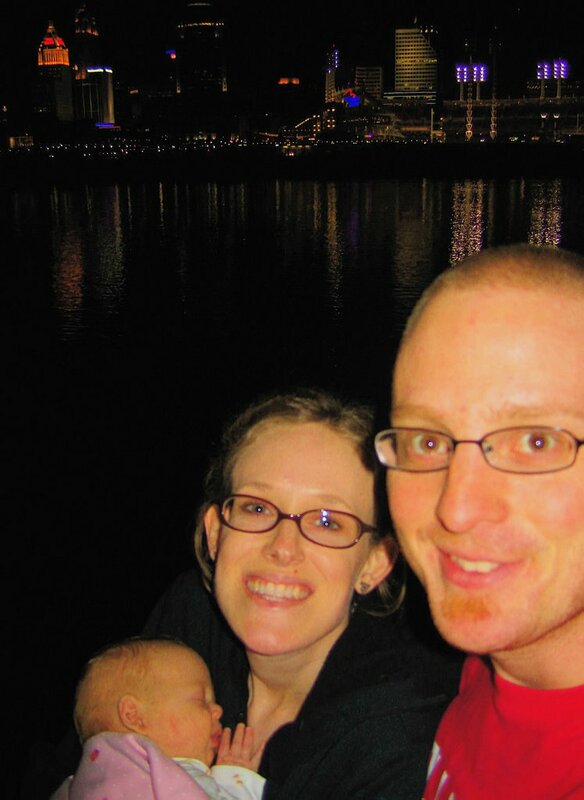 The family in front of the Queen City.